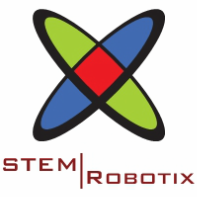 STEM Robotix is a year-round facility for Upper Valley grade 3-12 students to explore, develop and progressively learn the key concepts of STEM (Science, Technology, Engineering & Math). Classes are offered in three trimesters (Fall, Winter and Spring) during both after school and early evening times. Introductory classes focus on robotic systems with visual programming environments. More advanced classes teach general computer programming languages and algorithm development. New educational offerings, based on student interest and ability, such as robotic art construction, fractal designs and printer/plotters, provide more opportunities for both beginner and more advanced students to try new robotic applications. Mobile robots provide one of the best platforms for students to learn key STEM concepts and apply that knowledge to challenges of incrementally greater complexity. Throughout the progressive learning model, students will design, build and program increasingly sophisticated robots. STEM Robotix will use both in-class and off-site challenges and competitions to create a fun atmosphere in which to evaluate the student's creations: successes, failures and everything in between.